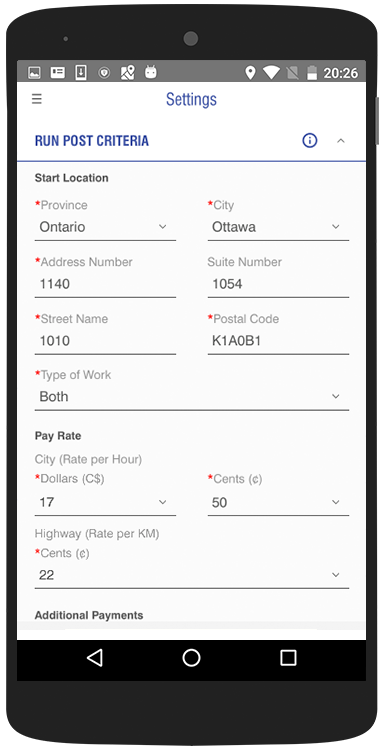 EZLinQ is packed with features and designed to be fast and easy to use on the road. 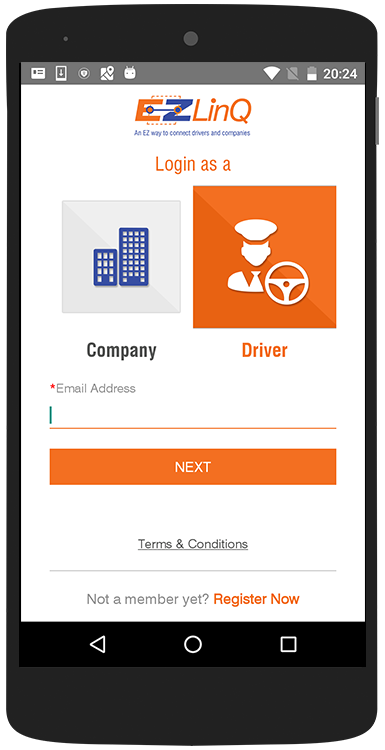 Once the app is downloaded, open the EZLinQ app and register as a Driver by submitting required details. Your account will be reviewed and activated by EZLinQ staff within 2-3 business days. Please see below for some key features available through the app. Tapping the menu icon on top left will open the side menu. 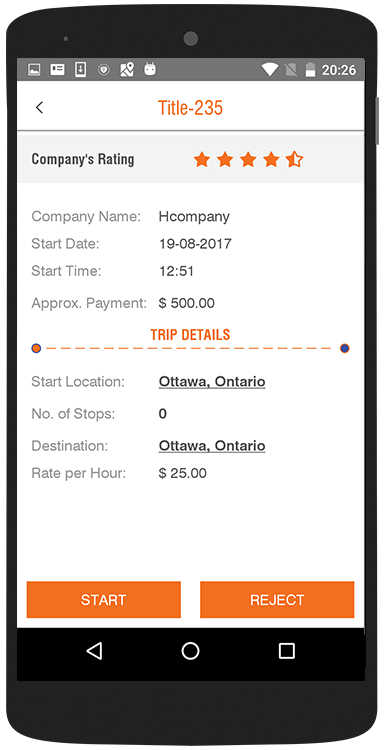 Here you will see your profile, Manage current and available runs, View your total driving experience and set your availability for the day or week. 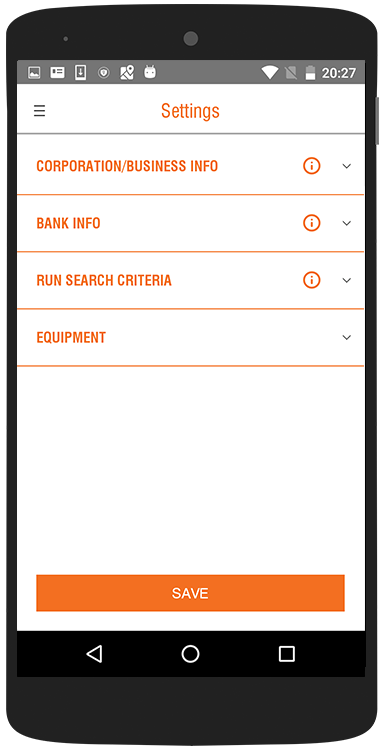 Under the 'Runs' option, you will be able to manage Current Run, Accepted Runs, Runs Available and History of Runs. 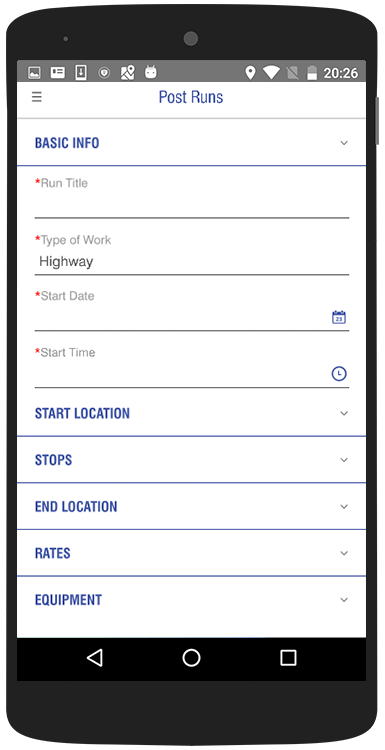 As a driver, you have the freedom to choose runs and your working hours. 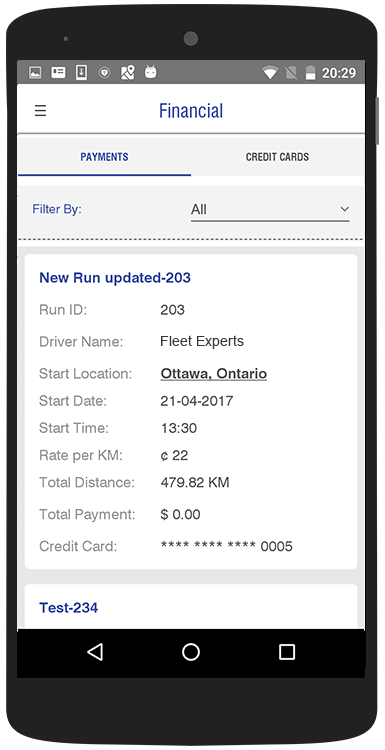 The 'Settings' menu allows a driver to view and update Business Info, Bank Info, Run Search Criteria and the Type of Equipment. 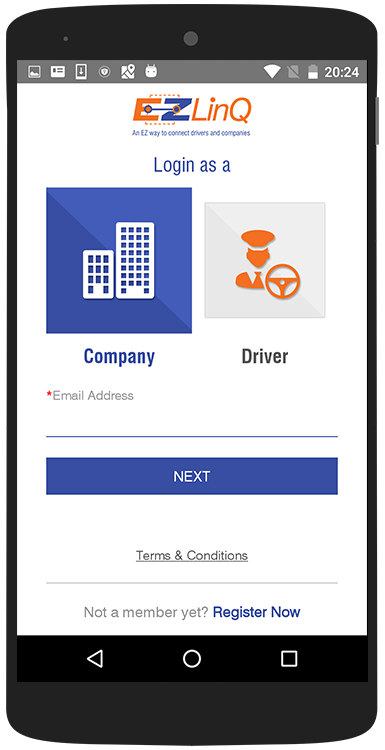 Once the app is downloaded, open the EZLinQ app and register as a Company by submitting required details. Your account will be reviewed and activated by EZLinQ staff within 2-3 business days. Please see below for some key features available through the app. Tapping the menu icon on top left will open the side menu. 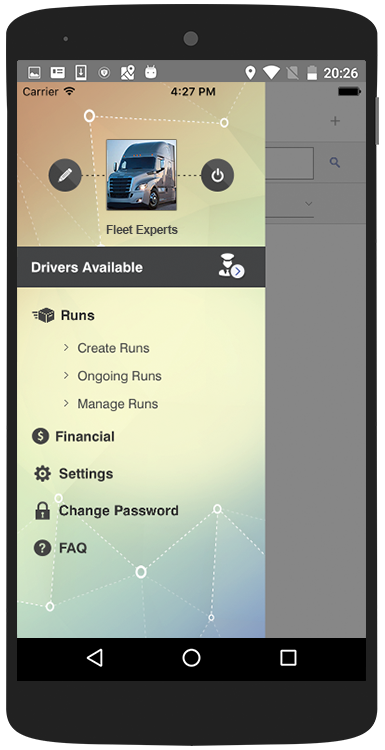 Here you will see options to update profile, view available drivers, runs, financial and other settings. 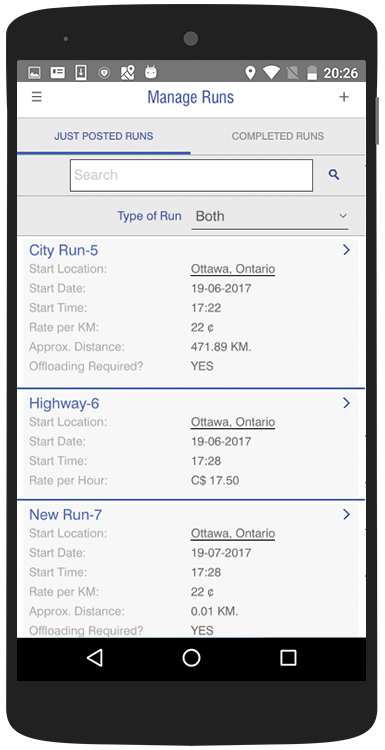 You can post a run, view ongoing runs and you can also edit runs. 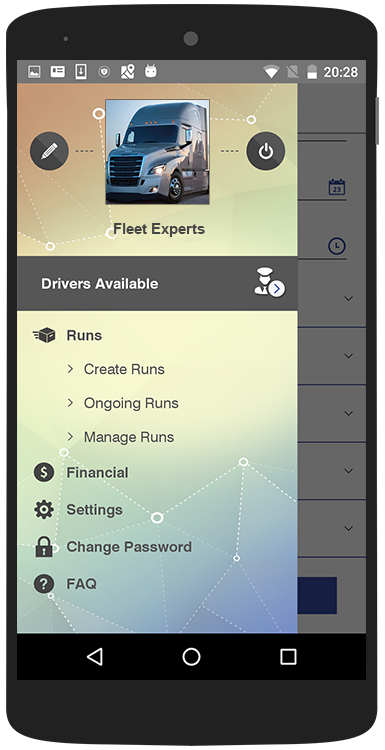 Tapping the 'Drivers Available' option will show you total drivers that are available on that day. 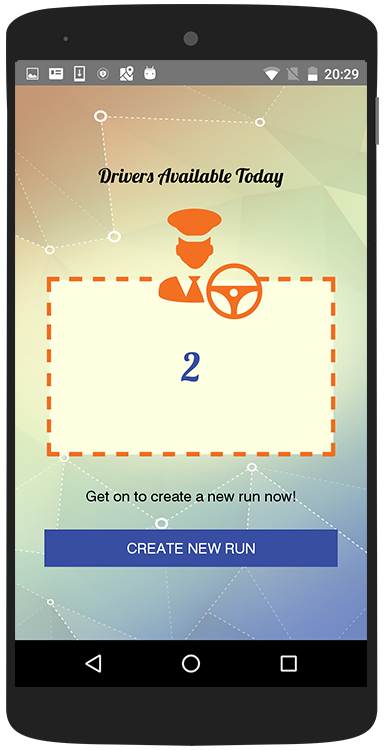 You can also create a new 'Run' from the same screen. 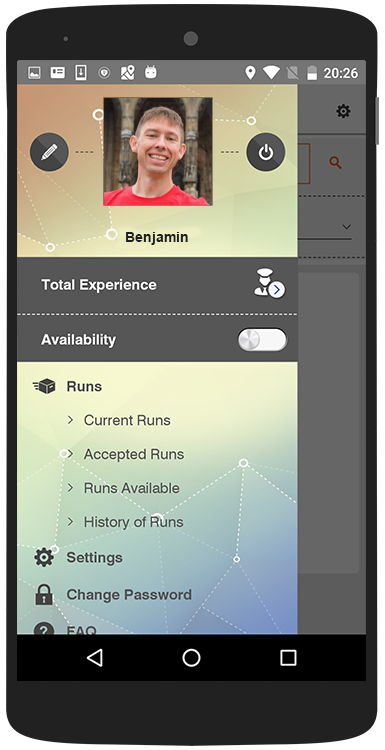 Under the 'Runs' option, you will be able to Create Runs, view Ongoing Runs and Manage Runs. A valid Credit Card will have to be registered to post a run. Under the 'Financial' option, you will be able to see all the 'Payments' that have been made or are owed. The 'Credit Cards" will show all stored credit card information. Here, you will be able to view the default settings pre-defined under 'Run Post Criteria' as well as the 'Type of Equipment'. 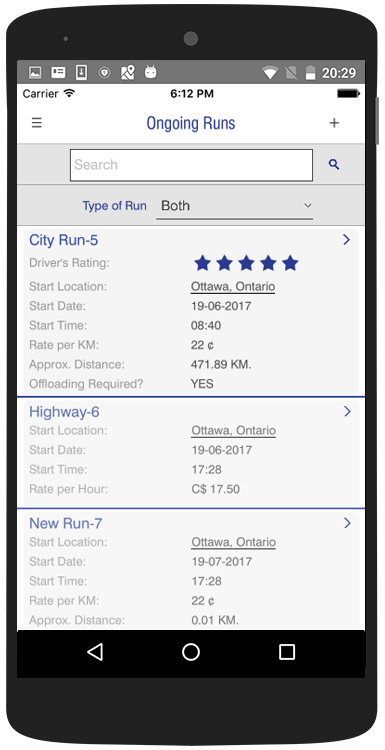 The reports section gives a breakdown of the runs completed with details on the specifics of the run.